I love Knott’s Berry Farm. I had the opportunity to head to Knott’s yesterday and can’t wait to share all about my experience later on this week. No summer is complete without a visit to Knott’s Berry Farm. Ghost Town Alive! Join the 75 year anniversary celebration of Ghost Town with shows and a whole lot of family fun! Blockbuster Beagle! On Ice – Snoopy and the gang perform on ice! You don’t want to miss it! Circus of Wonders – A great way to end the day with this fun show! We’re giving away a four pack of tickets to enjoy a day at the park with your family. All you have to do is leave a comment letting me know who you would take to Knott’s! That’s it. Giveaway ends on August 1st at 11:59pm. Winner will be chosen at random. 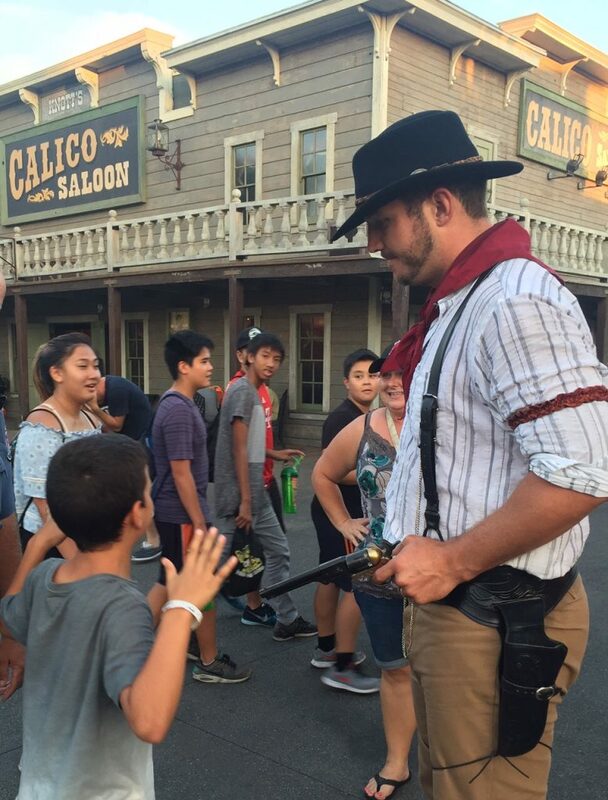 This entry was posted in Knott's Berry Farm and tagged #ghosttown75, #KnottsTicketGiveaway. We are really enjoying our summer. It’s slowly winding down as I return back to work next week and the kids start school a few days after. We’ve really enjoyed our movie dates. It’s a welcome relief from the heat and also the turbulent times that we’ve all been facing. Last Thursday we had the opportunity to experience an advanced screening of Star Trek Beyond, thanks to Frontier So Cal and Epix. It was so much fun and a movie that kept us at the edge of our seats. We were able to be apart of this special screening, along with dozens of other people , thanks in part to the Frontier So Cal Sweepstakes. The kiddos were able to walk the red carpet and take some fun photos on the step and repeat. We had a great time watching the movie and enjoying a night out with the family. Other families were able to enjoy the same fun by entering the Frontier So Cal sweepstakes. Check their page often for other fun promotions, and other local events. Did you also know that you can also watch movies the night before their general release? This is something we learned a few years ago. This year we’ve watched quite a few movies that way. Check your local theater to see if your local theaters offer preview screenings the night before. I hope you are enjoying your summer as much as we are. Go out and make some memories! Disneyland Resort in the Summer! We are now well into the second half of the summer season, in fact my kids and I return to school in less than a month. Now is a great time to visit the Disneyland Resort. We were invited to visit this past weekend and found the park amazingly uncrowded. Yes, there were lines but the waits were manageable, the park was easy to navigate and there is so much to see right now! We are down to the last few weeks of Disneyland’s Diamond Anniversary Celebration. “Paint the Night – All-New Electrical Parade” – This luminescent parade creates a river of color flowing down Main Street, U.S.A., with an array of Disney characters and more than 1.5 million brilliant LED lights that flash and glow as Mickey Mouse uses his vivid imagination to “Paint the Night.” With dazzling special effects, unforgettable music, energetic performances, fun surprises and spectacular floats, “Paint the Night” is more vibrant than any parade in 60 years at the Disneyland Resort. It’s a must-see show at Disneyland. “Disneyland Forever,” The dazzling fireworks spectacular is an immersive experience like nothing seen before at the Disneyland Resort. It’s more than just a firework show as you become surrounded by the worlds of timeless Disney tales, from the tips of their toes to the sky high above, thanks to the largest installation of projection mapping technology in a Disney park and surprising special effects. 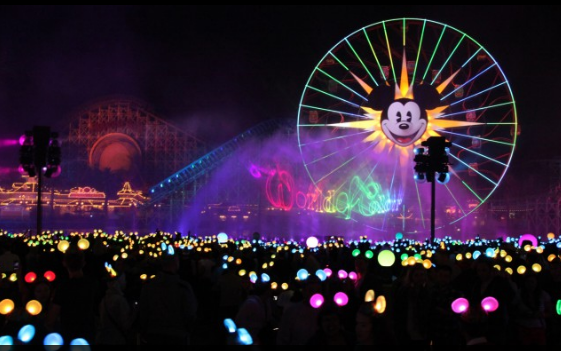 “World of Color – Celebrate! 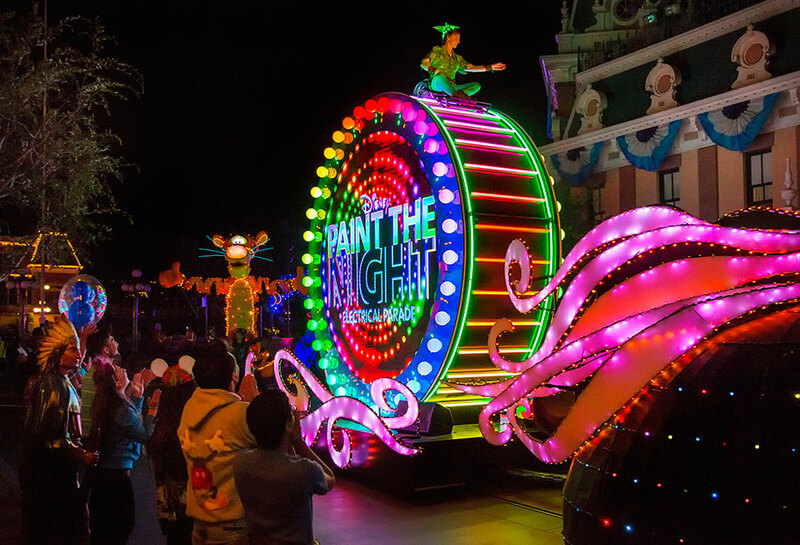 The Wonderful World of Walt Disney” – Award-winning actor Neil Patrick Harris joins Mickey Mouse on a magical water canvas to entertain guests in this fun-filled new presentation of the popular, nighttime “World of Color” spectacular in Disney California Adventure. Both epic and intimate in scope, “World of Color – Celebrate!” brings to life the remarkable story of Walt and The Happiest Place on Earth with animated imagery, live-action film, fountains, lasers, special effects and a stirring musical score. “World of Color – Celebrate!” reminds guests that, if they always hold onto their dreams, anything is possible. And the newest piece of entertainment, found only at Disney California Adventure is ‘FROZEN – LIVE AT THE HYPERION’ — A new theatrical interpretation for the stage based on Disney’s animated blockbuster film, Frozen is now playing at the Hyperion Theater at Disney California Adventure Park. 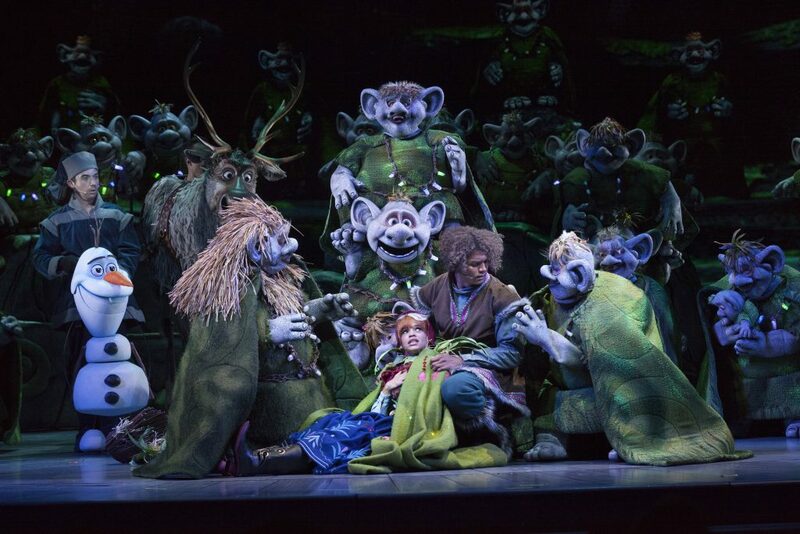 The show immerses audiences in the emotional journey of Anna and Elsa with all of the excitement of live theater, including elaborate costumes and sets, stunning special effects and show-stopping production numbers. My son said he enjoyed the show even more than the movie! For information on attractions and vacations at the Disneyland Resort, visit Disneyland.com, call (866) 43-DISNEY. Open daily, year-round. *Disneyland invited us to the resort in exchange for this post, but all opinions are my own. This entry was posted in Disneyland Resort, fun adventure.